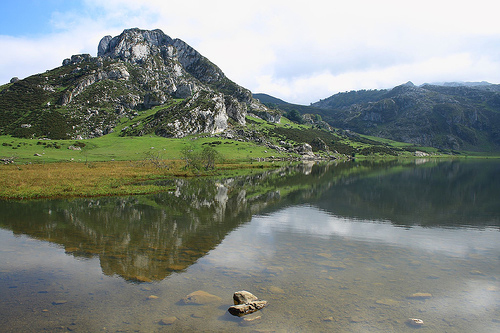 Beautiful circuits from perfect lakes in the western massif of the Picos de Europa, a stunning, jagged mountain range running along Spains northern coast. 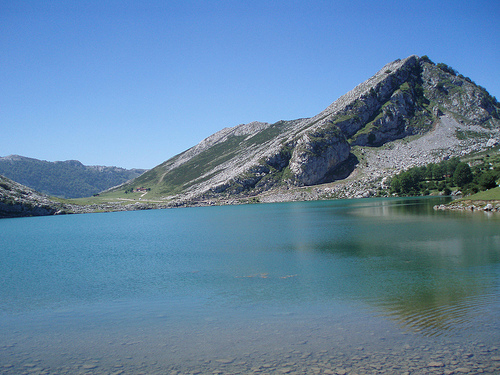 These routes start and end at the Lago de la Ercina lakes (Ercina and Enol), the primary visiting points of the Picos de Europas western massif. High and isolated, these are classic pastures, impassable from November to May, that afford great views (when cloud allows) of pastoral landscape, glacial lakes and high peaks on lush turf scattered with a host of seasonal wildflowers. One of the advantages of this area is that if offers opportunities for groups of mixed enthusiasm and ability to split up and please themselves: a (very beautiful) 4km circuit around a hill and visiting the two lakes; a 7.5km circuit (subject to mist) and a 16km hike (with a couple of steep ascents and descents) up to the wild, empty vegas at the Refugio de Ario. See Routes below. Important: This area has a peculiar weather structure which often produces thick mists in the afternoon; the descent path (walks 2 and 3) from Majada de la Redondella is easy to lose and should not be attempted under these conditions; simply reverse your route back past Lago de la Ercina. Also note: however tempting, swimming is not allowed in the lakes. 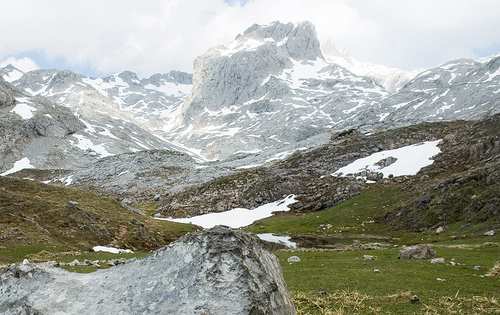 See out Picos de Europa page for general information.